This completes the title from my previous blog posting coming from James 3:1. It was interesting that not long after I published that post on the genuine frustrations and questions I have from this first semester of returning to teaching, I attended a professional development on assessment. For those not fluent in teacher-speak, assessment is the term that is applied to whatever action the teacher takes to make sure the students learned what they were supposed to learn. This is most generally thought of as a test or exam. 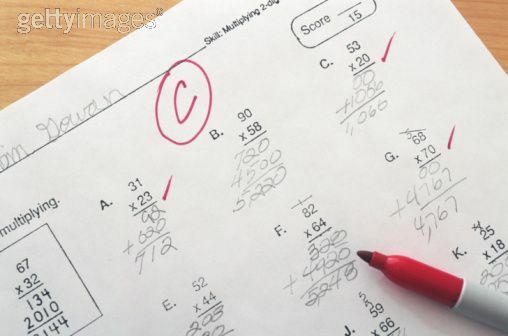 While tests and exams are certainly types of assessments, to think of them as the only means of assessing student progress is to be a poor teacher. Assessments can take many forms and the best assessments are inseparable (and usually indistinguishable) from the content and activity of the lesson. In this way they arise naturally from the intellectual pursuit the students are undertaking (i.e. students don’t feel like they have just explored the Pythagorean Theorem through a group construction exercise but then have to take a silent, individual, paper quiz on the topic) and have high student involvement and ownership (i.e. students assess themselves and their peers progress through each step of the learning process – the activity is designed in such a way that students ask themselves “Do I know this action is correct? Is this the right way to proceed? Why?”). This is not to say that I am an expert at developing such assessments or that I think tests should be done away with (I still give them). I simply want to point out that assessment can take many forms and that most often that form is in guiding and correcting questions during cognitive exploration rather than in a make-or-break final examination. Which brings me back to the passage from James. Though this passage looks toward the future and the judgment (or assessment) we will have before the throne of God as people of authority and influence in the shaping of understanding and practice, I don’t think that is the only assessment we can expect to encounter. God gives more than just a final exam because God is not a poor teacher. We are constantly being assessed and corrected by the grace of God. And as with the best of assessments we usually don’t even know that it is there – it is just a natural process of working to improve our lives bother personally and professionally. We should constantly be asking ourselves as God’s students “Do I know this action is correct? Is this the right way to proceed? Why?” Only our answers aren’t being drawn from a foundational knowledge of mathematical principles, but rather a foundational knowledge of God, His character, and His redemptive actions. In the larger context of the 3rd chapter of James, James is discussing the dangers of the tongue and the need for believers to be very conscious of the power of words. Sometimes teaching is more about what we don’t say than what we do say. Sometimes we have to hold our tongue not just toward students but to fellow faculty, administrators, and parents. Even though we desire badly to justify ourselves before others, in reality we don’t have the authority to make that assessment. Only the Teacher holds that authority. I’ve been reminded this semester that it is only God I should be working to please. The above was my attempt to explain that. I don’t think I have fine-tuned the assessment metaphor yet, but I wanted to go ahead and share my thoughts anyway…even though they aren’t perfect. I am proud to be your wife!